We are always keen to hear from brilliant people that would like to join us. Just send me an email telling me about you and why you’d love to join us. This is exactly what James Johnson did in 2009 — James is still with us today and is now an experienced auctioneer, and has been instrumental in helping us triple the revenue of our car auction business during this time. You can see James’ email at the bottom of this page. Kendall Richardson is part of the Hobbs Parker Group and provides bookkeeping, payroll, accounts and tax services for small business owners and individuals and are always interested to hear from anybody interested in a part-time or full-time role. You will need good experience and masses of enthusiasm. We are looking for a smiley, enthusiastic person to join our fabulous Residential Lettings team to assist with our viewings on a Saturday. Experience is not essential as training will be given. Our very busy Lettings Team require a Negotiator with at least 2 years experience and preferably more. You should have a detailed knowledge of current legislation along with excellent customer service skills essential to compliment our reputation and high standards. The position is based at our offices in Ashford. Due to our ongoing success, Hobbs Parker Property Consultants are now recruiting for new Planning Consultants to join their busy planning consultancy. We offer the opportunity to work and take on a variety of projects whilst also being involved in some larger more complex opportunities. We are looking for qualified graduates or recently qualified Town Planners who are enthusiastic and keen to take the next step and grow their career within a business that is well established and part of a wider long standing firm based in Kent covering the South East. We offer a competitive salary package along with further training – we like to invest in our team! If you think you’ve got what it takes to join our successful planning team please forward your CV to jon.rimmer@hobbsparker.co.uk or for an informal discussion about this role please call 01233 502222. We were not advertising any vacancies at the time but James was offered a job in less than a week. I was told to contact you with my inquiry; I am 24 years old with an established sales background in Media and the Motor Trade. 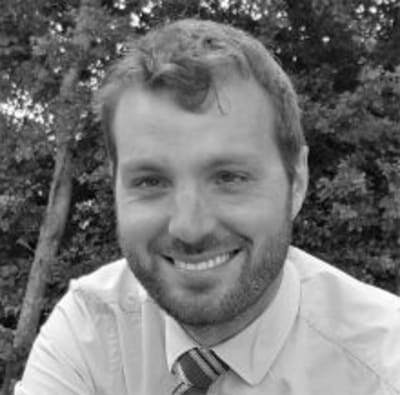 I have worked for the Kent Messenger since 2007 having previously joined Lipscomb Volvo as a Trainee Sales Consultant at 18 in 2003. I am interested in exploring the possibility of a career working for a professional Auctioneers, I have a natural flair which lends itself well to my current sales position and very strong communication skills. I am passionate about cars particularly classic cars which led me to make this enquiry, however seeing the vast portfolio of Hobbs Parker I would be interested in finding out more about every area. Please find attached my current CV. Please advise if you feel this is something I could pursue further with you.